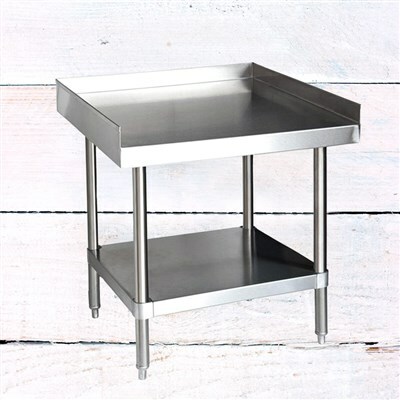 These stainless steel tables come in a variety of sizes and are a perfect height for setting your stainless steel cold brew system on to brew in, and then transfer to kegs below. 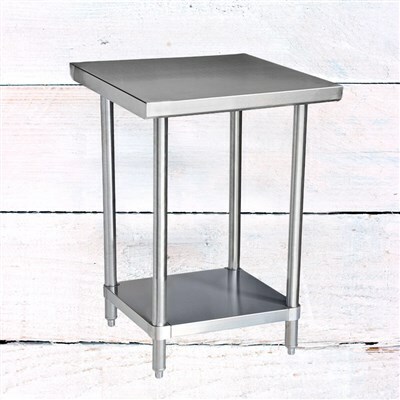 The 24 X 24" table is ideal if you have just one cold brew system, and will accommodate both the 15 or the 30 gallon size! Or you can go with a 36", 48" or even wider table for setting up a cold brew coffee making station with multiple systems.